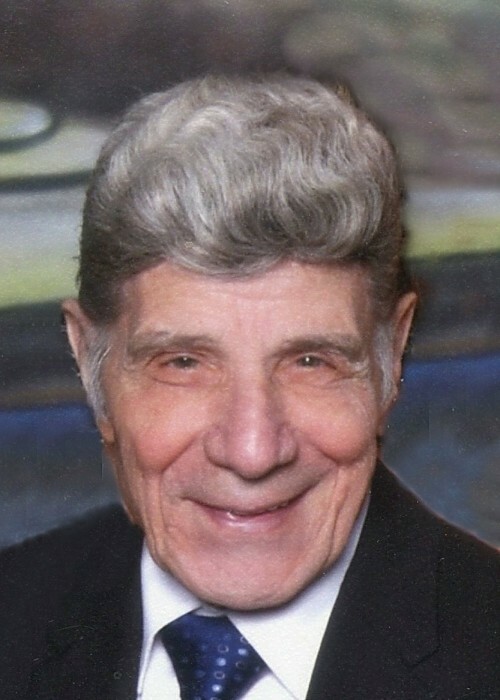 Obituary for Leonard W. Fenimore | Francis G. Ozog Funeral Home, Inc.
FENIMORE – Leonard W., 95, Cambria City, Johnstown, went home to be with his Lord and Savior on Sept. 13, 2018. Born in Canonsburg, PA in 1923, and moved to Johnstown, PA in 1946, son of Dominic and Mary Fenimore. Preceded in death by parents; grandchildren, Aaron and David Cassat; great grandchildren, Sky Ciccarelli; Shane Fenimore; 3 sisters and 1 brother. Also preceded in death by the love of his life, Emily (Lesso) Fenimore, married 59 ½ years. Survived by sister Cynthia Zelenski; 10 children, Mary Lynn and husband, Joseph Evans; Andrea Fenimore, Larry Fenimore and Elaine Capretti; Theresa and husband, Robert Cassat; Sharon and husband, Eric Allison; Lenny and wife Gisele (Tomkowski); Annette Fenimore; Diane and husband, Kenny Mical; Christine and husband Joseph Carpenter; and Connie and husband, Jim Vogel. Also survived by 21 grandchildren, Justin and wife Sara, Ian and wife AnnaMaria, Marisa and husband Christian, Leah and husband Aaron, Tessa, Jason, Emily, Christopher, Joey and wife Sarah, Tiffany, Lauren, Shawn, Tyler and wife Candace, Jonathan, Brad and wife Lara, Alyse and husband Joe, Lane with fiancé Woody, Christiana and husband Robert, Reed, Luke and Cody; 24 great-grandchildren; numerous loving relatives and wonderful friends. He was a decorated WWII veteran and served willingly as a paratrooper in the 11th Airborne Division for over 3 years as Army Staff Sargent, stationed in the Pacific Theatre in WWII. 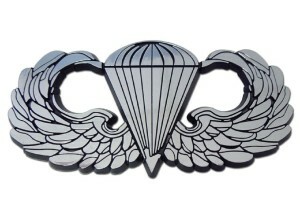 Awarded the Purple Heart and Bronze Star for invasion and being wounded, he also received the Arrowhead Device, a one-time decoration service medal for 28 combat parachute drops. He prayed the rosary at Resurrection Church and at the White Star Convalescent Home. He was the oldest altar server in Pennsylvania for 3 churches; Saint’s Stephen, Casimir and Emerich for over 74 years. He lived in Cambria City and worked as a welder at U.S. Steel. He was a District Committee man for the Democratic Party, serving the West End for 29 years. He won on America’s Funniest Home Videos for singing a song for ‘his Emily’. He was a sport enthusiast in boxing, wrestling, swimming and liked to shoot pool. He loved Westerns on TV and attended countless sporting events and birthdays for his grandchildren. He also served at church fish fries, festivals, ministries and visited hospitalized and homebound patients. Len was the best loving Dad, husband and Pappy in the world. He wanted everyone to know that he had a wonderful life. “The good Lord blessed me with a wonderful wife, children, grandchildren and great-grandchildren and he blessed me all of my life to take care of them.” Friends received Monday from 2 to 8 p.m. at the Francis G. Ozog Funeral Home, Broad Street. Funeral Mass will be held 11:00 a.m. Tuesday at Resurrection Parish, the Rev. George M. Gulash. Committal will take place at Grandview Cemetery, where V.F.W Post 155 Ritual Team will perform honors. In lieu of flowers, please send donations to Windber Hospice.